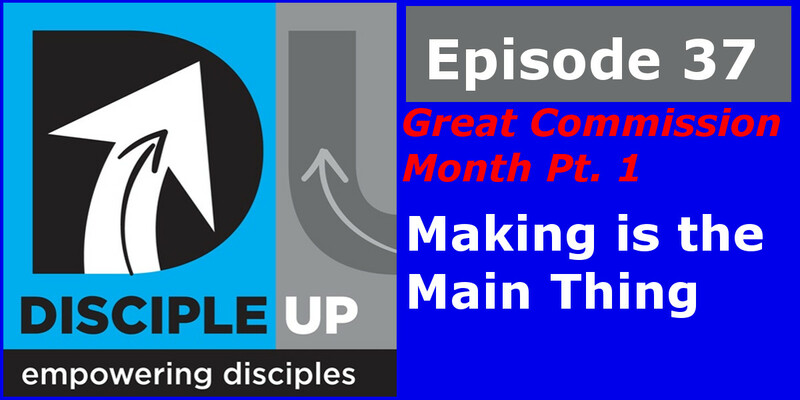 January is the Great Commission month here on Disciple Up – the Disciple Empowering Podcast. For the entire month we’ll be looking at the Great Commission in Matthew 28:18-20 in depth. As well as discussing all the Great Commissions found in the New Testament. More Than One Great Commission you say? Yes, there are five “commissions” that are generally recognized by scholars as great commissions. The heart of the commission is in the one word μαθη-τεύσατε. This imperative, of course, means, “to turn into disciples,” and its aorist form conveys the thought that this is actually to be done. The verb itself does not indicate how disciples are to be made, it designates only an activity that will result in disciples. It connotes results not methods and ways. – Lenski New Testament Commentary – Lenski New Testament Commentary – The Interpretation of St. Matthew’s Gospel.